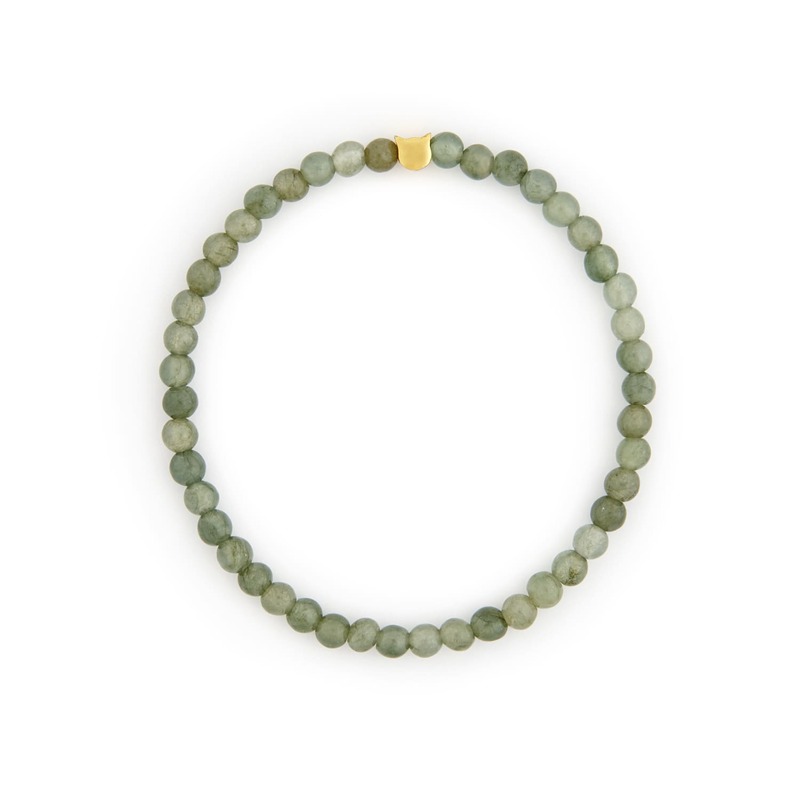 Make this pretty jade stone bracelet your everyday bracelet, to bring you luck and good health! A delicate jade stone bracelet with our signature cat charm in gold colored brass. The green jade color is a perfect neutral and works beautifully with most other jewelry and colors. Material: Real jade stones on a clear elastic string with one gold colored cat charm.